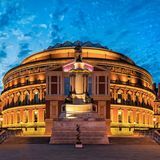 One of the world's most famous venues, when it comes to culture in London the Royal Albert Hall is unsurpassed. 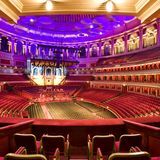 Best known for its concerts by the Royal Philharmonic Orchestra the Royal Albert Hall doesn't only host classical music performances. 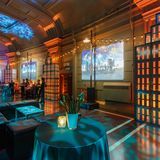 Rock and hip hop performers and the internationally acclaimed Cirque du Soleil have all graced the stage at the Albert Hall and cultural exhibitions are also displayed throughout the year. 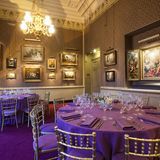 Free lunchtime concerts offer an excellent way of experiencing the opulent interior of this much feted venue for the first time. What did you think of Royal Albert Hall? Whilst the venue has fantastic acoustics and most concerts are great, the seats are pretty uncomfortable, so if you have a bad back you'll be paying more attention to re-adjusting yourself every few minutes than you will to the artist(s) performing. If you don't have a bad back when you go in, you will when then show ends. The venue needs to invest in decent seats and not just cheap replacements.... short term pain for long term gain! A real delight for the senses. Bravo.Will see it again. The King and I is a wonderful musical!!! Love to see it again and again. Especially the dancing, the choreography is simply sophisticated and entertaining. It is also a perfect show to bring your children to see. I was really dissapointed! The show was more like a dance performance than a circus one. The music was great but the performers didn't seem to push their limits. Overall, it was unfortunately not worth the price..